Chain link fencing is a great option for business and homeowners looking	for affordable, yet durable, fencing for their properties. 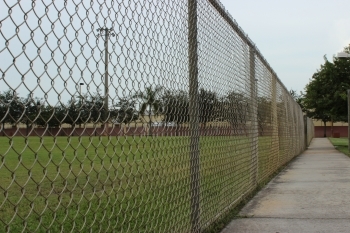 This type of	fence is popular throughout school yards, sporting fields, backyards,	and industrial areas. It is incredibly versatile and one of the most cost-effective	fencing options in the industry. We at Hansen Bros. Fence offer various	types of chain link fence. This kind of fence is incredibly durable because it is supported by steel	posts that are anchored with cement into the ground every few feet. Our	company works with both residential and commercial property owners throughout	the Minneapolis and St. Paul areas. To obtain a free estimate, or if you	would like to learn more about all our fencing services,	call Hansen Bros. Fence at (612) 520-0922.